Simplified navigation to part descriptions, part photos, Cart and Help. A handy Menu (quick access to your account) and a Search Bar at the top make it easy to head in the right direction. 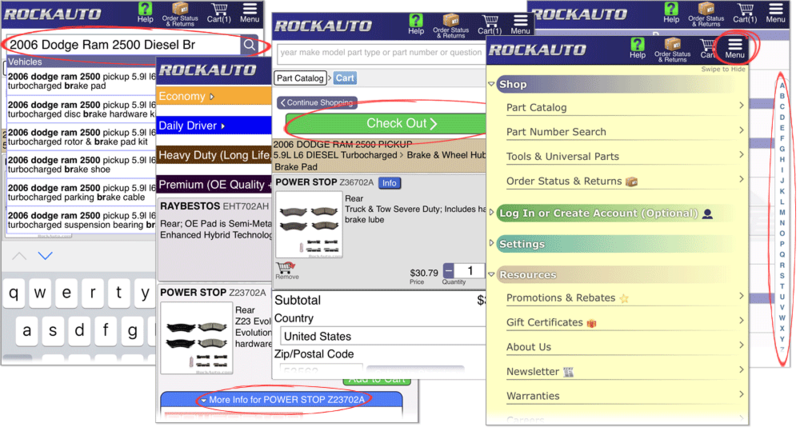 Try out our new mobile catalog by visiting RockAuto.com via your smart phone or tablet! You can also see the new mobile catalog from a desktop (It will be jumbo sized!) by clicking "Mobile Site" in the bottom right corner of RockAuto.com. ooh! My brother uses rockauto A L O T. They are a good company.